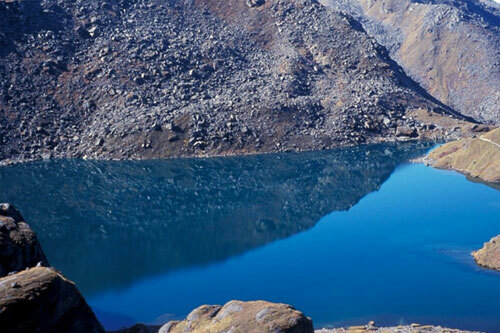 Langtang valley trekking, a part of Langtang National Park, is especially famous for flora and fauna. 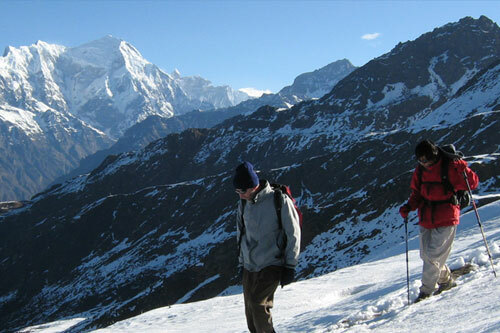 Langtang trekking is also called "the valley of glaciers trek". 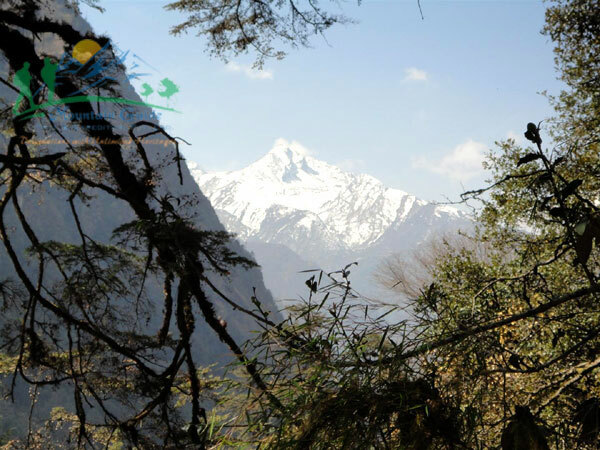 The river valley offers healthy forests, some endangered wildlife, bird-eyes view of high mountains including Langtang Lirung (7245m) and the live culture of the people. 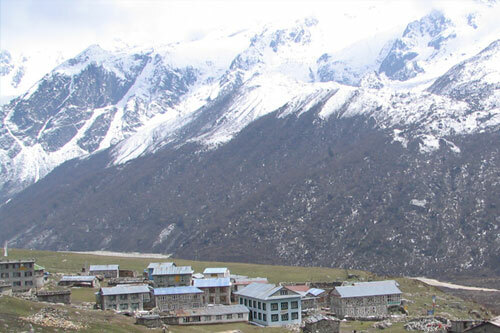 Langtang is the closet place where you could get the massive snow capped mountains and beautiful glaciers. This valley is located only 19 miles north of Kathmandu. 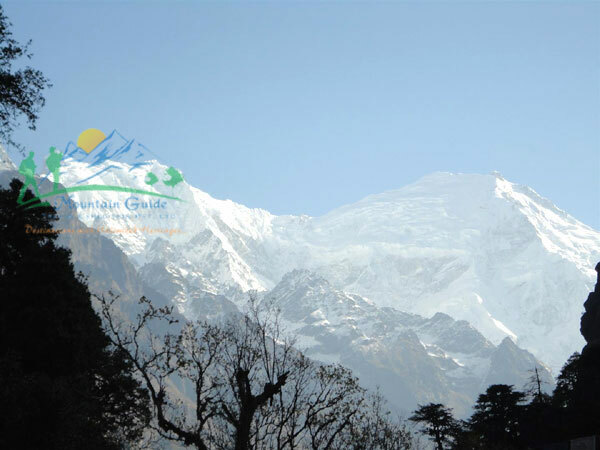 The whole valley is dominated by Mount Langtang Lirung (7246m) and offers pine forest, swift mountain streams, rugged rock and snow-capped peaks, grassy down and meadows. The starting point of trekking is Syabru Bensi. 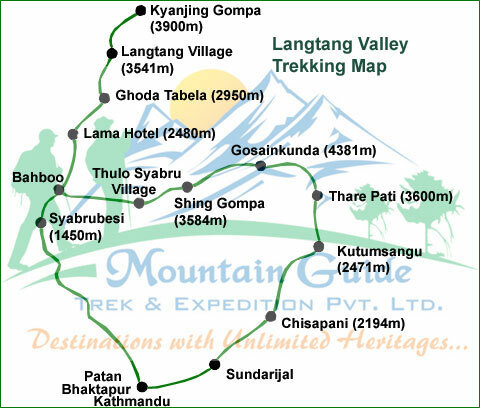 From Syabru Bensi you will follow the Langtang River to the east until you get to Kyangin Gompa (3,049) with overnight stay at Lama Hotel, Langtang valley respectively. 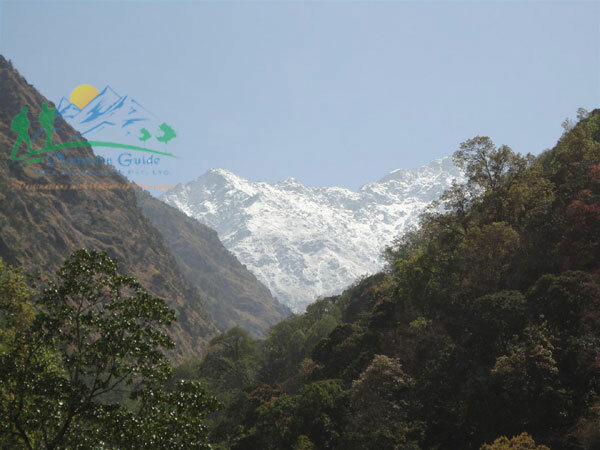 On the fourth day you will arrive at Langtang valley. In this valley besides natural wonders you also visit local Tibetan village and see their lifestyle. 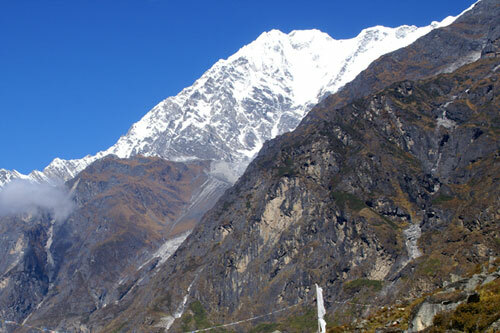 The last destination of this trekking is Kyanjin Gompa. You visit ancient Buddhist monastery and glaciers. Here you stay one more day on next day you get an opportunity to ascend Kyangjin Ri (4350m). From its top you will get 360 degree mountain views. From Kyangjin, you retrace your route back down the valley to Syabru Besi and then drive back to Kathmandu. Day 04: Syabru Besi to Lama Hotel (2470m) 5-6 hrs. The following is a list of clothing and accessories that we recommend for Langtang Valley Trekking Nepal. This is not intended to be a comprehensive clothing and equipment list; rather it is intended to act as a reminder of those items that we are feel necessary for your comfort and convenience. However we recognize that you may have your own personal preferences for clothing which may be equally as suitable.